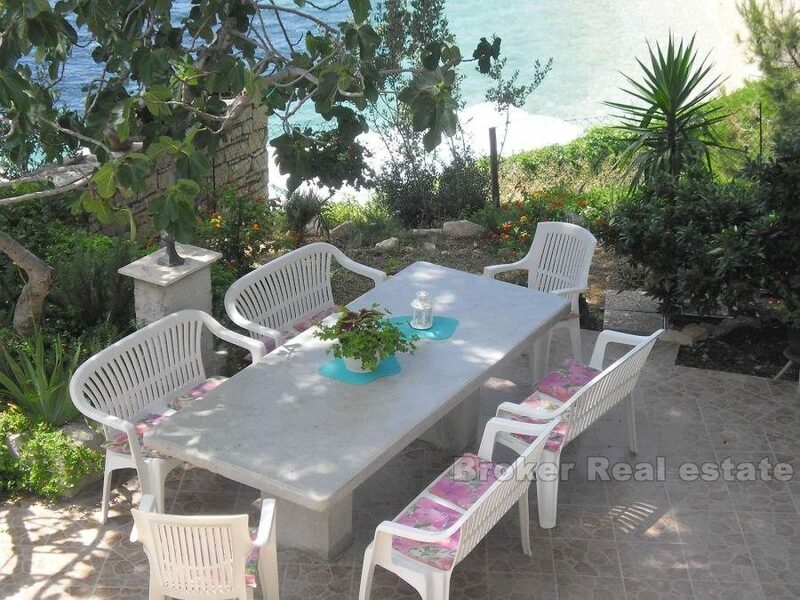 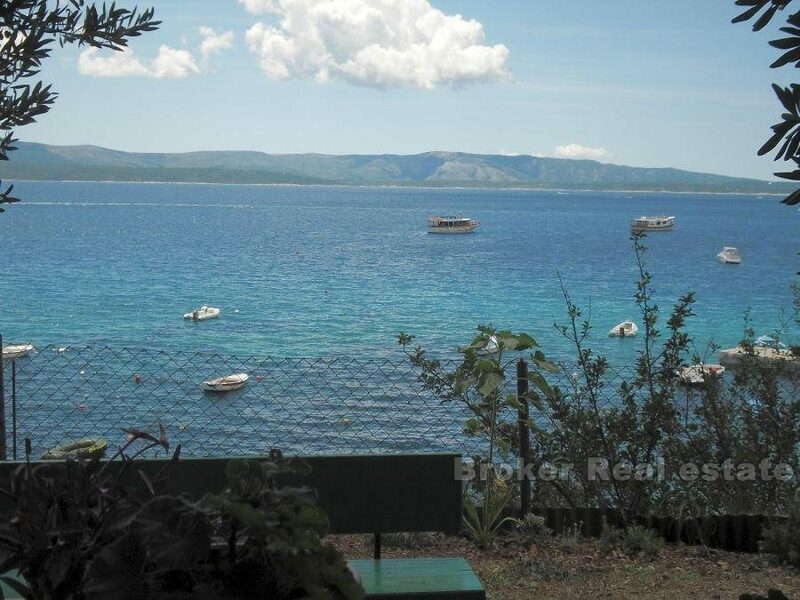 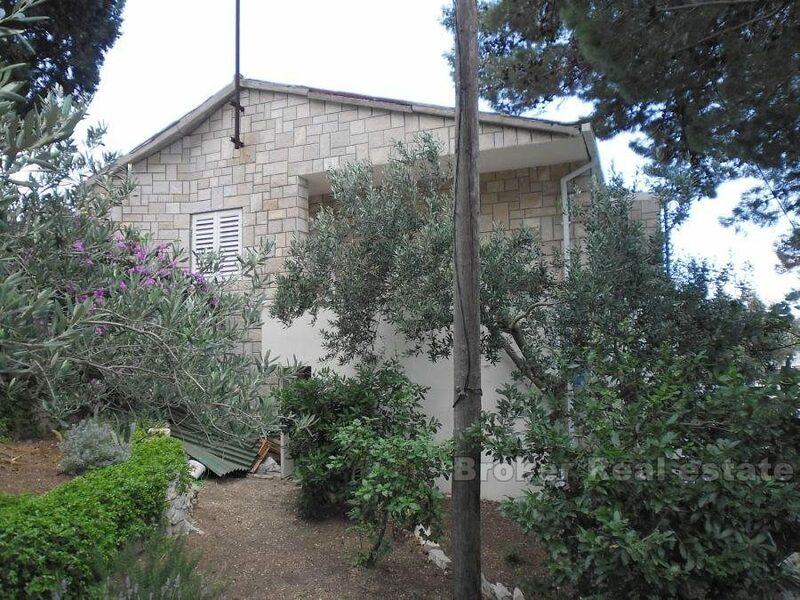 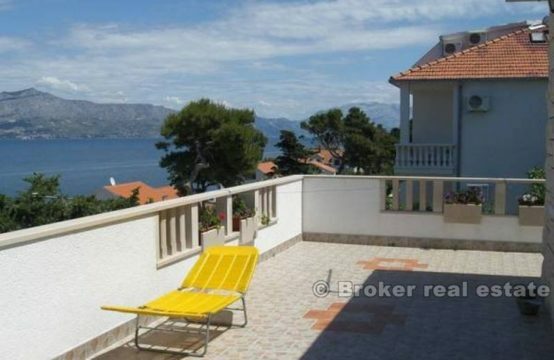 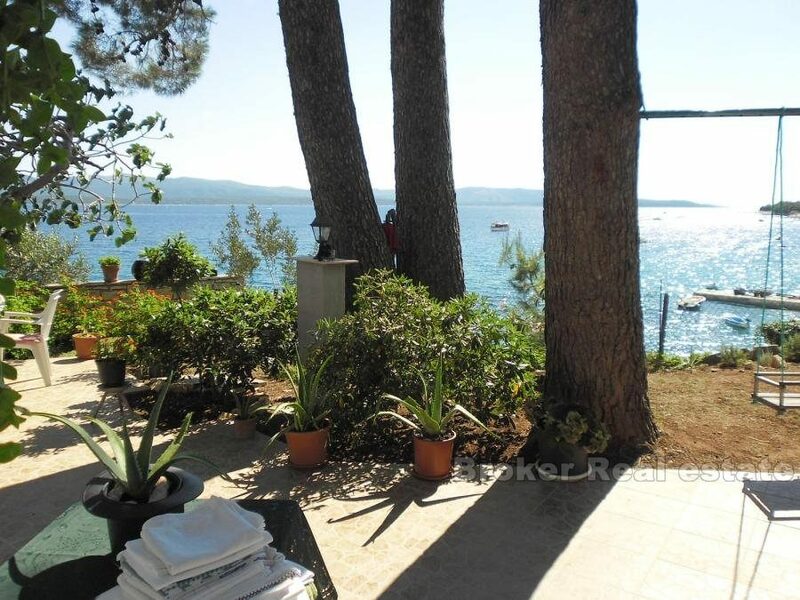 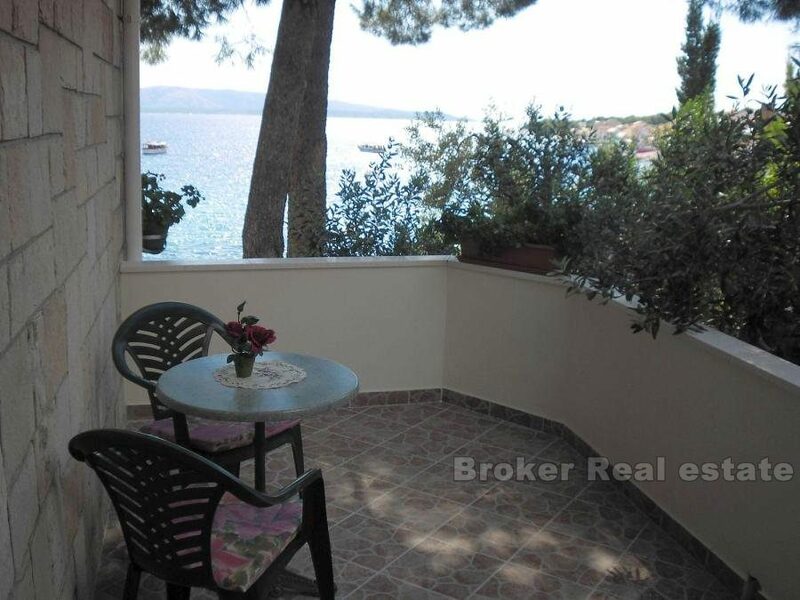 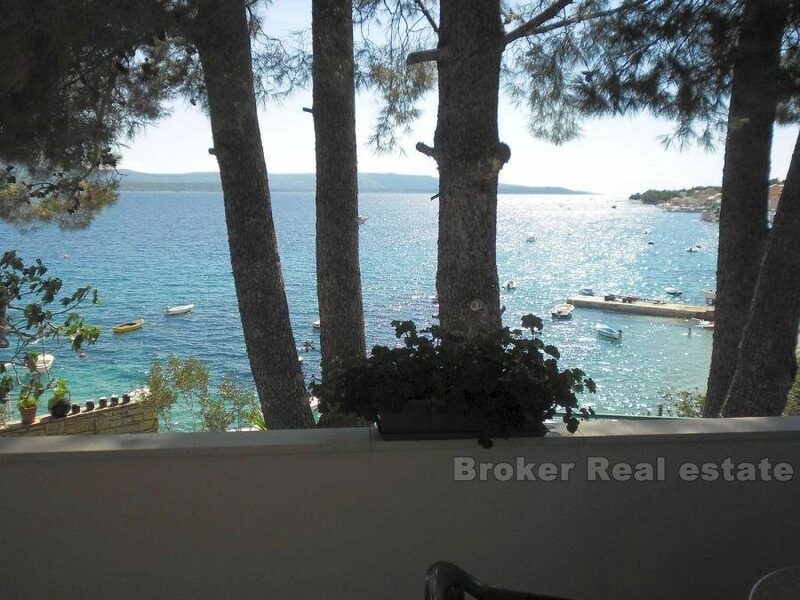 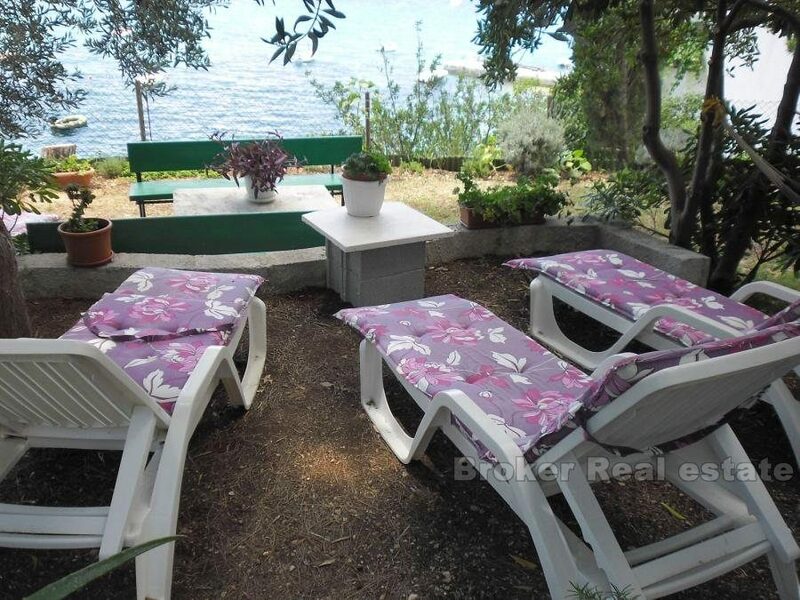 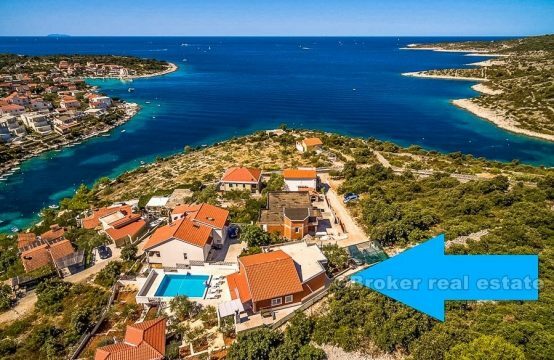 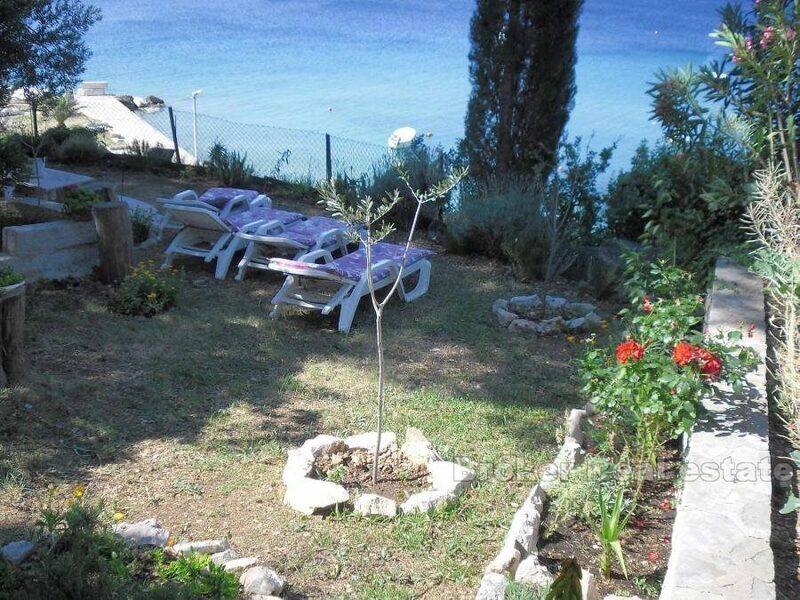 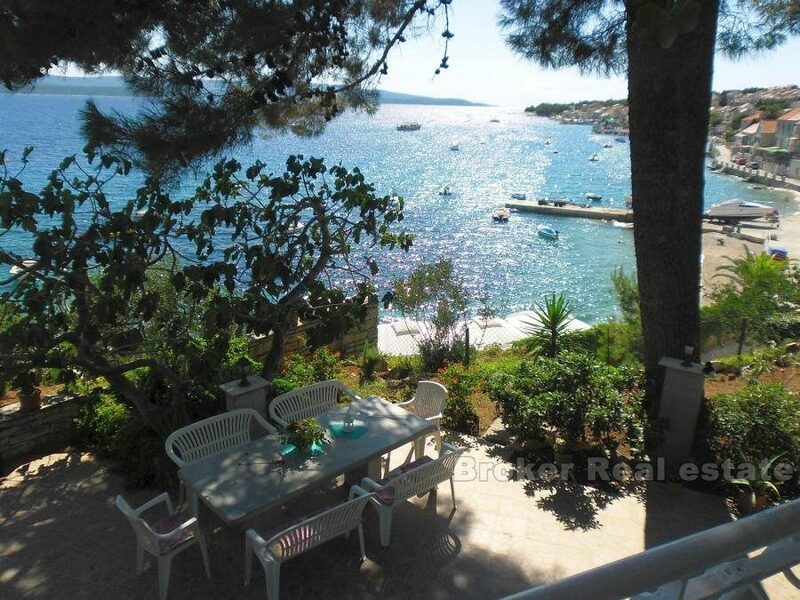 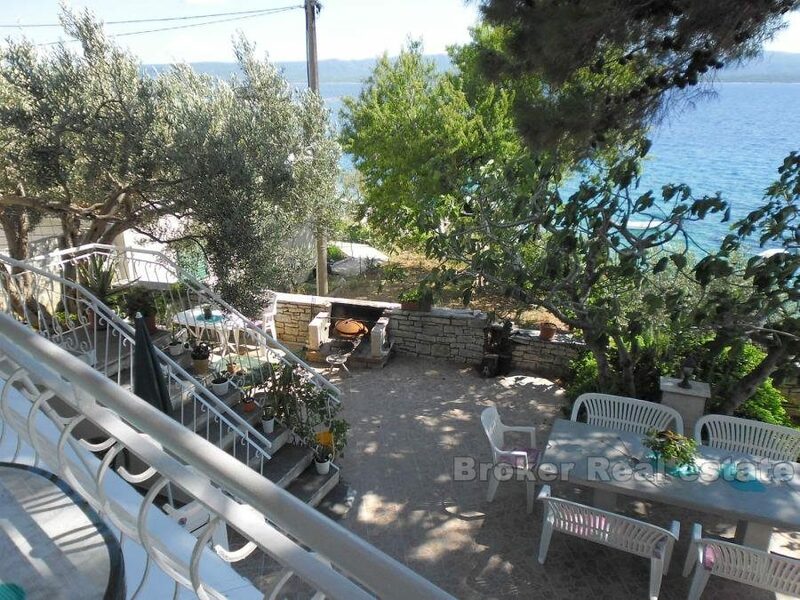 Attractive apartment house, located on the south side of the island of Brac, in the first row to the sea. 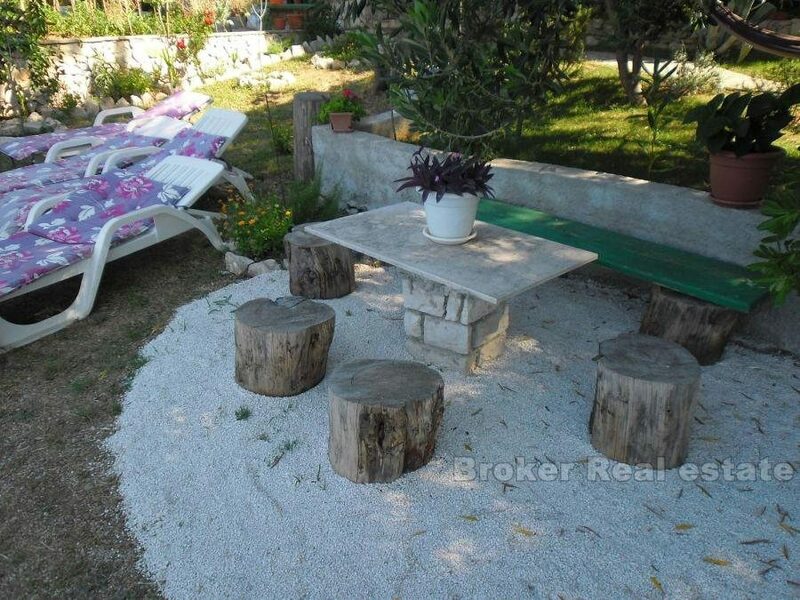 Apartments are located only minutes from the center, while a stone beach is located thirty meters from the house. 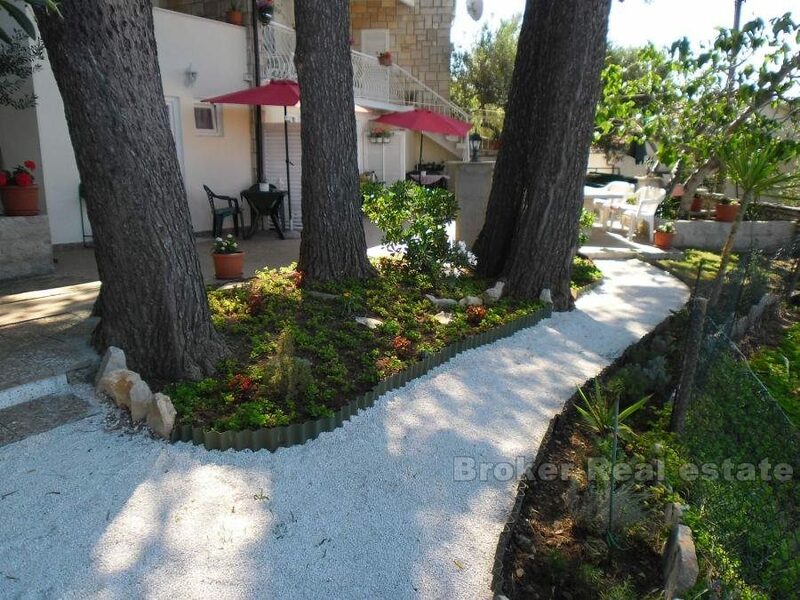 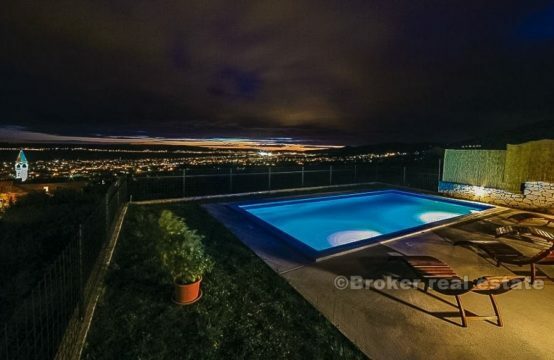 The house is spread over two floors, with 200 m2 of living space, situated on a plot of 1083 m2. 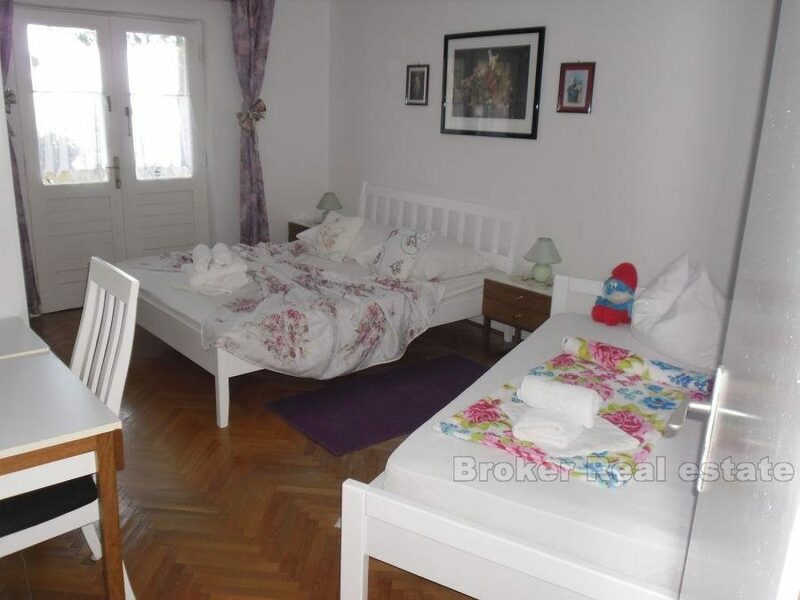 The house consists of 4 fully furnished apartments. 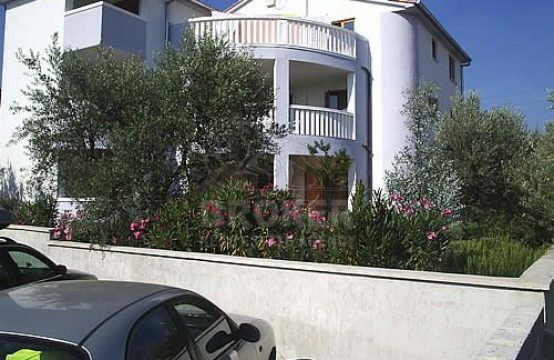 On the ground floor are located one bedroom and studio apartment, and on the first floor two bedroom and one bedroom apartment. 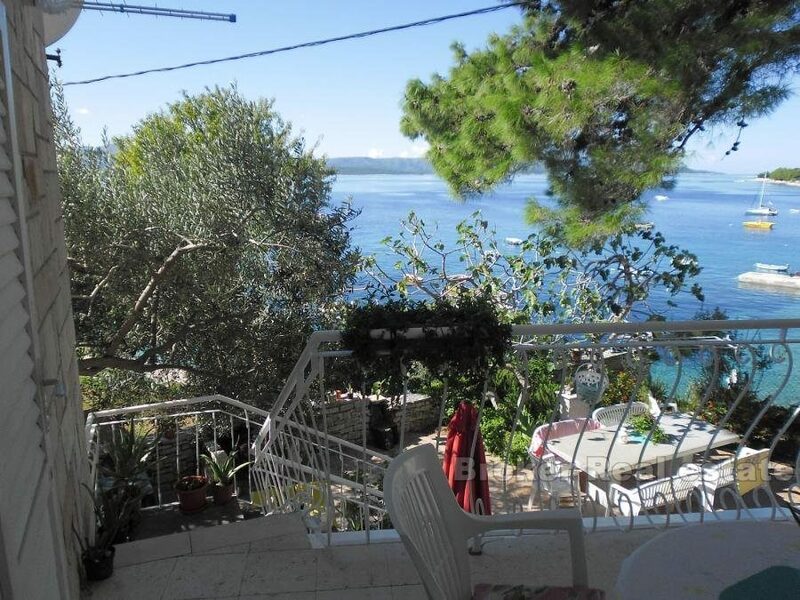 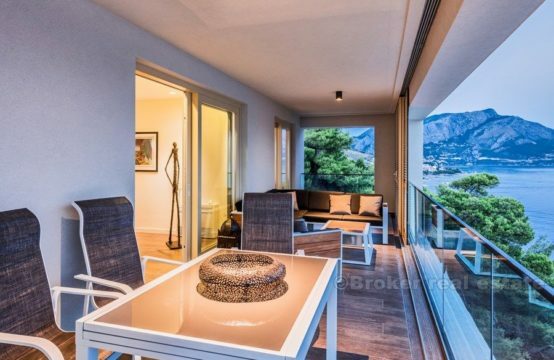 Apartments on the ground floor have access to a spacious terrace with a Mediterranean garden, a dining area and a barbecue area, and a sunbathing area offering wonderful views of the sea. 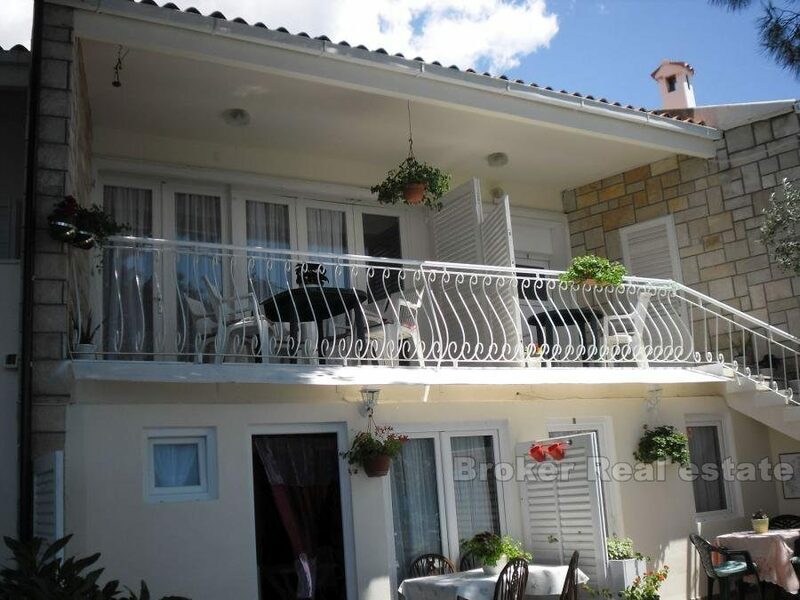 Apartments on the first floor have private balconies. 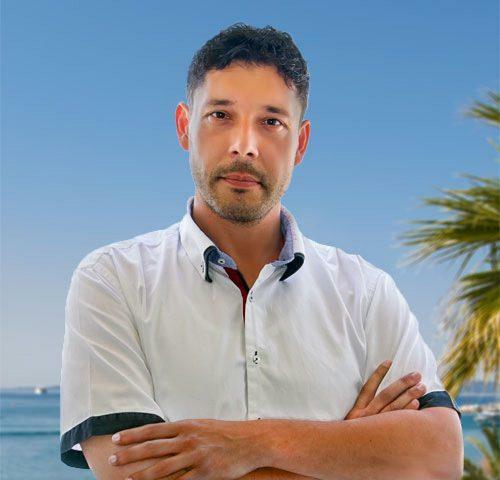 In hot summer days, the western wind makes life more enjoyable and lighter, benefiting surfers and kitesurfers. 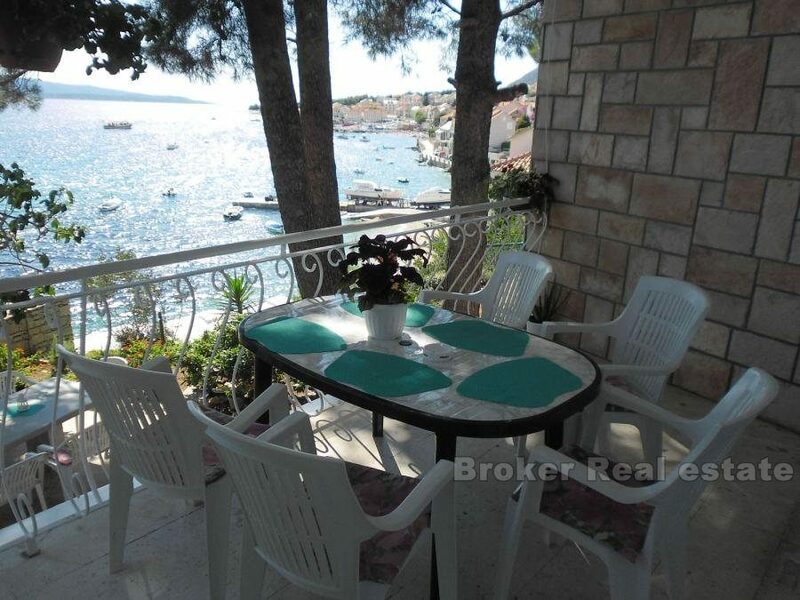 Within 500 meters you will find all the necessary facilities – restaurants, shops and bus stations.